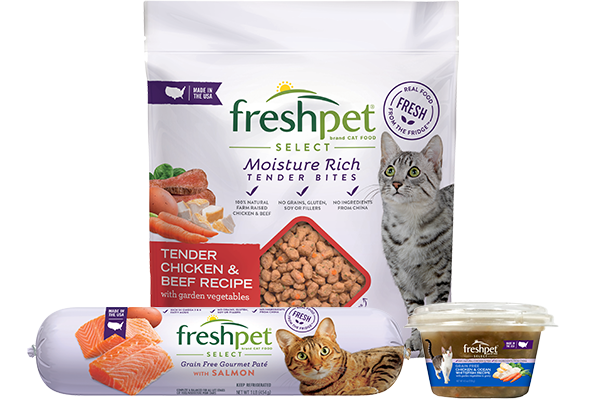 After six weeks of the Freshpet Fridge Challenge, we've been thrilled to see how pet parents are viewing fresh foods in a different light when it comes to feeding us and our pets. 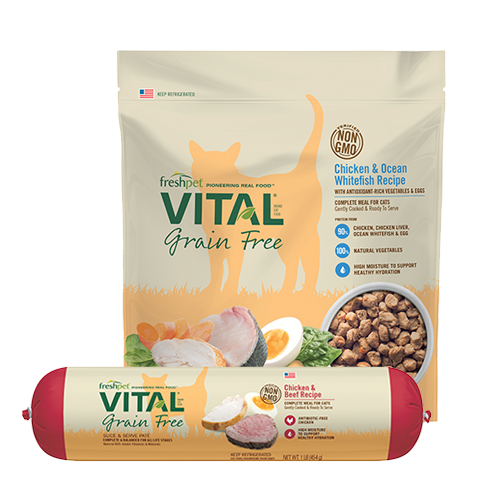 So, after chronicling the Fridge Challenges taken by Dr. Katy Nelson and other pet bloggers, it was our turn to cook for ourselves using only shelf-stable foods! However, as we soon found out, life without the fridge is not only difficult, but can be a bit frightening. With this simple strategy in mind and shopping basket in hand, we headed to the pasta aisle to tackle our carbohydrate portion of the Fridge Challenge meal. We grabbed a big box of bow tie pasta along with a large jar of pasta sauce, which pained us because we love to make homemade pasta sauce with local ingredients. Next, we wandered over to the canned meats section of the grocery store. 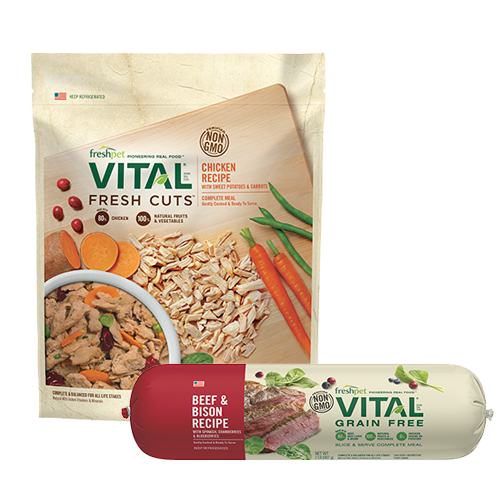 Next to the canned tuna, tucked away on the top shelf, lay canned chicken, which we decided to try because it was high in protein and seemed like a much better option than SPAM! 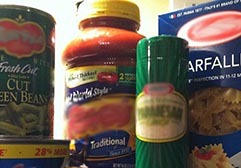 Lastly, we grabbed a small container of parmesan cheese and a can of green beans. After all, how much different could canned green beans taste than fresh green beans? Checkout was a breeze and light on the wallet, which was one upside of our shelf-stable meal. When we got home, cooking was a synch – another upside of shelf-stable foods. All we needed to do was boil water, cook the pasta and combine the ingredients. However, this came with a price. 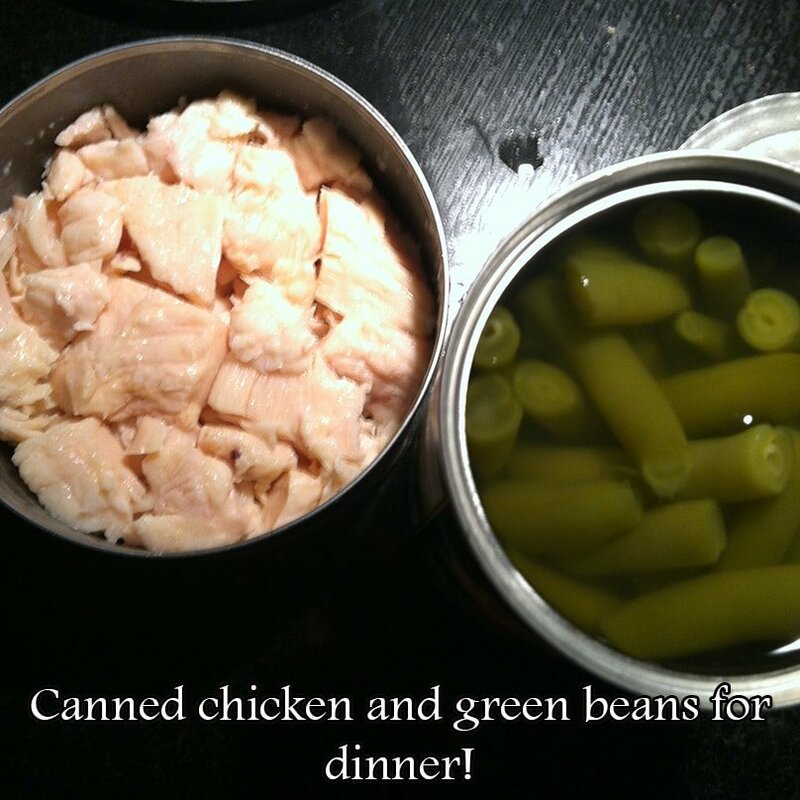 When we cracked the lids on the cans, we were surprised to find that the canned chicken looked and smelled more like tuna, while the green beans had been floating in some sort of liquid. This was a bit unnerving, but we pushed on for the taste test anyway! After we combined the pasta, pasta sauce, cheese and canned chicken, the meal certainly was not the most delicious we've ever tried. That's what happens when you lack the flavors in fresh pasta sauce, seasoned chicken or market green beans. Right away, we missed that flavorful pop in every bite - such is the life of shelf-stable eating. When we got around to cleaning up, there was yet another unanticipated result of our shelf-stable evening: no leftovers! On the back of almost all canned food, you'll find the words "Refrigerate After Opening." Unfortunately, that meant that the leftover pasta in the pot, remaining pasta sauce and extra cheese had nowhere to go but the trash as we couldn't crack open the fridge - what a waste! No more than 45 minutes later, we were hungry again. Slouched over on the couch and in what felt like a food coma, we longed for something else from the fridge, but knew it was off limits. As we quickly learned, the simple carbohydrates in the pasta and pasta sauce weren't providing much energy from which our bodies could feed. 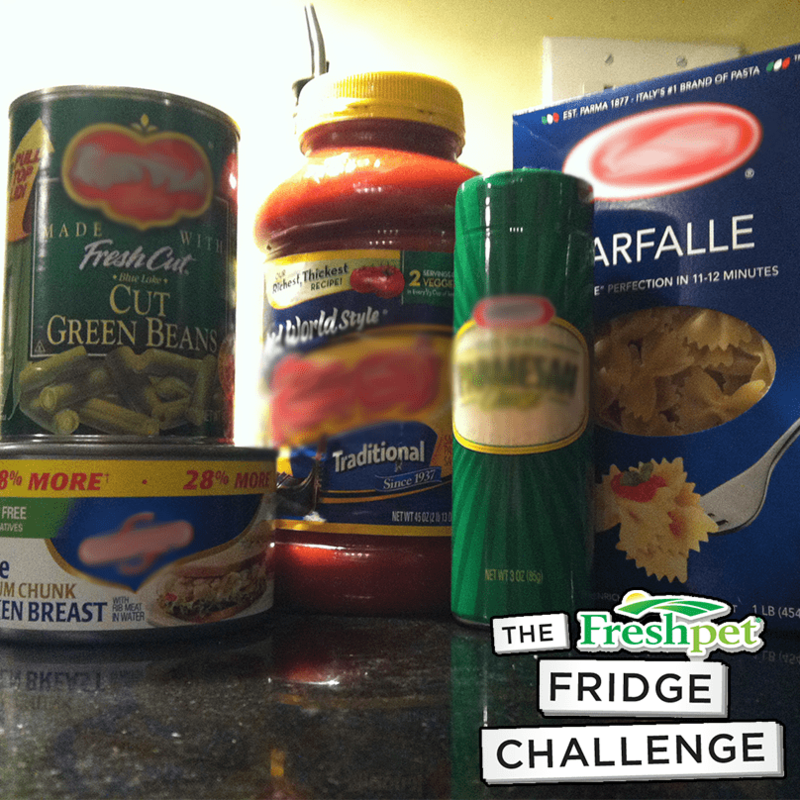 Moreover, the higher sodium content found in canned pasta sauce and canned green beans made us question whether our Fridge Challenge meal could hold a candle to fresh food at all. At least the canned chicken was high in protein, but when mixed with everything else, it became apparent that without fresh options, healthy eating truly is a challenge! The noticeable drop in our energy levels and lingering hunger really made us think about what a shelf-stable diet would do to our health. Doing this everyday, at least twice a day, certainly would have an impact on our bodies. 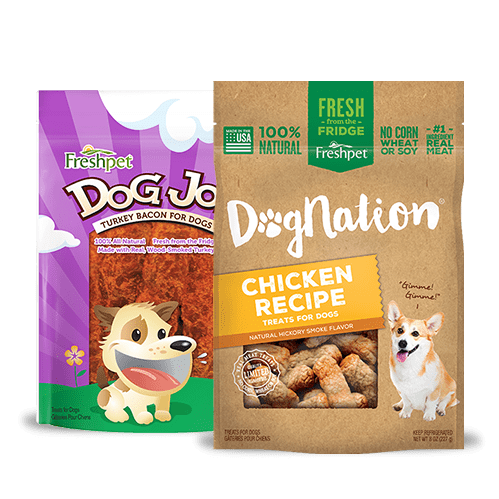 As Fridge Challenge blogger "Keep the Tail Wagging" asked, "Remember the movie Super Size Me?...It's astounding what difference removing fresh food from our diets makes." 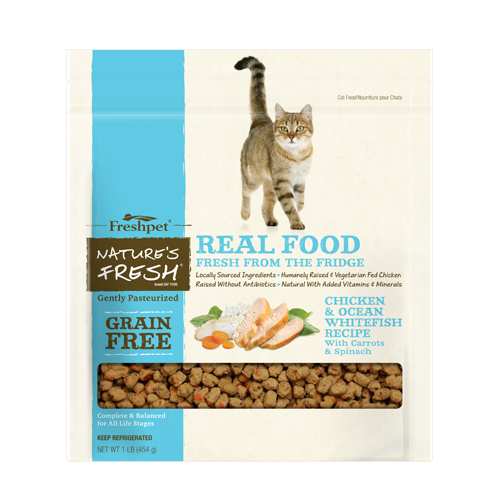 But that's what our pups and kitties were doing for decades until 2006, when we introduced healthier, fresher meals from the fridge. 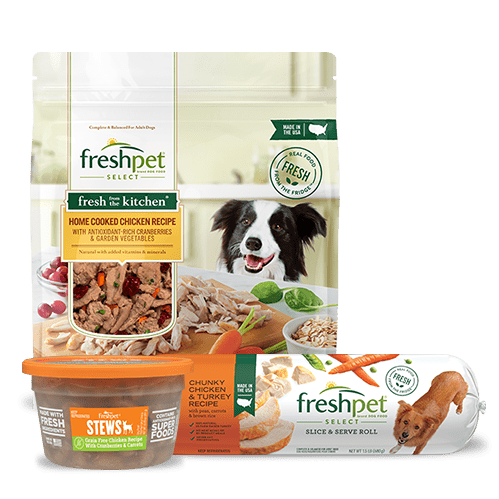 If anything, this meal and the Fridge Challenge in general only further reinforces the positive impact that fresh food has on our bodies, and in the lives of our pets. 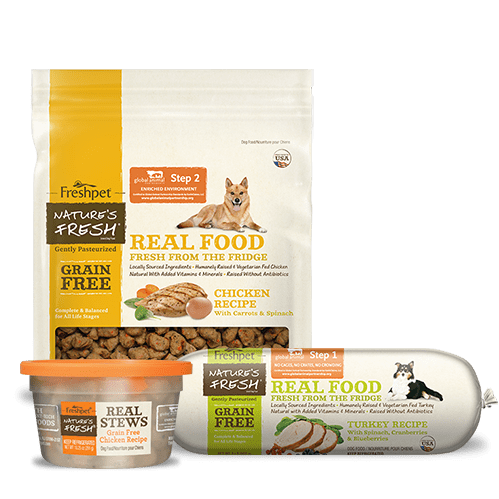 As we continue to serve our babies food from the fridge, whether by itself or in combination with dry kibble, it's comforting to know that they are getting more of the nutrients they need to stay healthy and energized...which is just the way we like them!